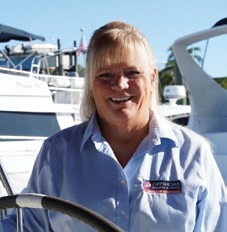 Deborah (Deb) Marlor, an Offshore Sailing School graduate from 38 years ago, has joined the company as Vice President of Sales. Marlor has served as a sales and process consultant with the company since August 2016. An award-winning entrepreneur with over 35 years of demonstrated success in creating and developing sales teams, Marlor has also led demand generation activities for Global 500 technology sales campaigns, generating revenue for channel sales programs, and strengthening client pipelines. After decades of sailing and racing whenever and where they could, Marlor and her husband sold their home and moved aboard their Beneteau Oceanis 38 Simplicity full time. Sailing from Houston, TX, to Florida, stopping in Pensacola, Clearwater and Punta Gorda, they have made Fort Myers, FL their current “home” base. For more information, log onto offshoresailing.com.